Now you can take all those stacks of 35mm, 126, 110 Slides / Negatives and Super 8 movies and convert them into digital JPEG images to share and preserve them forever. 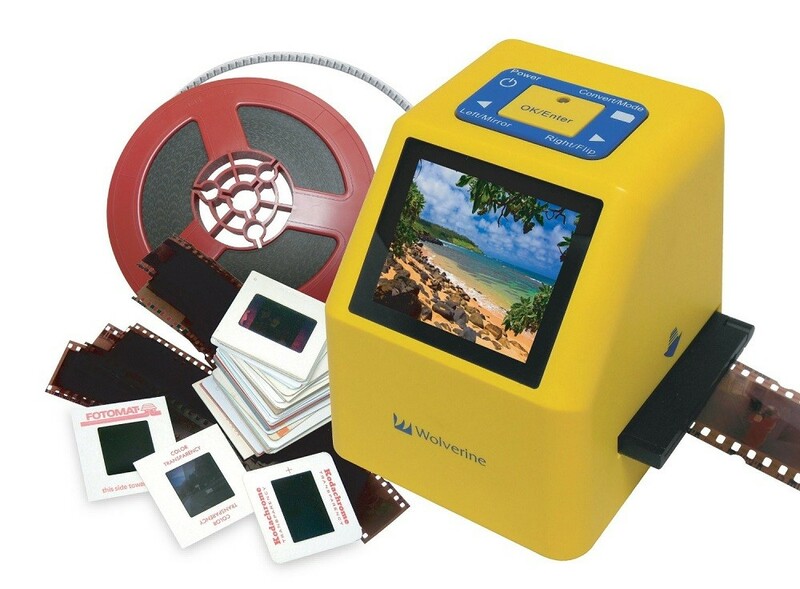 Wolverine has created a very simple to use device to convert all your film into to 20 Megapixels digital images in seconds. So simple to use, it only requires a push of a button. No computer or software is needed. Use it right out of the box to convert all your film by plugging it into an AC outlet or any USB port. All images are saved into its internal memory or optional SD/SDHC memory card. Easily connects to any Windows PC or MAC, to offload images or view on TV (TV Cable not included). Push slides into the adapter for super fast loading. No more hard to open Slide Holder that only fits four slides at a time! Push Negatives strips into the adapter for super fast loading. No mode hard to open Negative strip holder that only fits one strip at a time! Push 110 Film strips into the adapter for super fast loading. No mode hard to open 110 strip holder that only fits one strip at a time! Take snap shots from your Super 8 movies. Take enough snapshots to recreate your entire movie using Picasa editor.